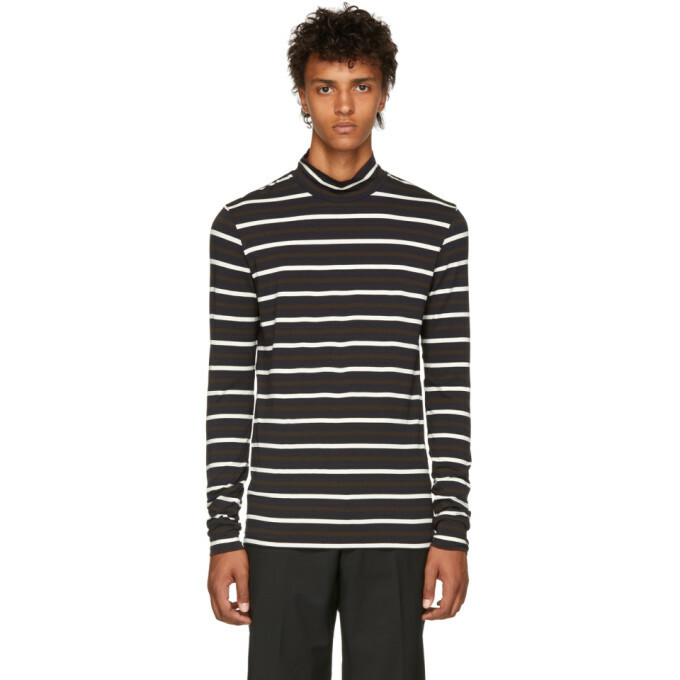 Long sleeve stretch viscose jersey sweater striped in brown, black, and off white. Turtleneck collar. Tonal stitching.